Parks and open spaces Basingstoke and surround areas. Once part of a private estate, the Lime Pits now provides an opportunity for walking, playing and picnicking. The site forms part of the Basingstoke Canal Heritage Footpath Trail, running across Basingstoke common and finishing at Basing House. It follows a route rich in wildlife and cultural heritage. View the disabled access guide for Basing Lime Pits. Is situated to the south west of Basingstoke, and mainly serves the communities of Hatch Warren and Beggarwood. It was originally identified and developed as public open space to support new housing development in the area. 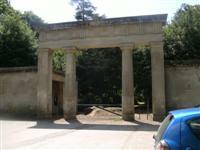 Facilities include a play area, an outdoor gym, a maze and amphitheatre, all linked by a good footpath network. A woodland accessed by foot from Reading Road, St Joseph’s Crescent and Simon’s Close. It has many paths through it as well as seating and “hidden” environmental art. The ponds provide a haven for wildlife, particularly Waterfowl including Tufted ducks, Coots and Kingfishers. The site offers picnic facilities and links via an underpass to Crabtree Open Space and Black Dam Ponds Nature Reserve. A self guided walk leaflet is available to download from the walking section on this site. Follow this link for information on conservation work in this park. View the disabled access guide for Black Dam Ponds. Provides a range of sporting facilities including six football pitches and changing rooms. View the disabled access guide for Brighton Hill playing fields. This green space includes an open grass area as well as a play area suitable for toddlers and older children including a ground level slide. A network of paved paths provides access from several of the surrounding streets. Lies next to Carpenters Down Wood, which is managed by the Forestry Commission. This open space offers sporting facilities for basketball and bowls. Nature trails and walks lead through the woodland to Sherborne St John. The site also boasts an excellent community centre, which provides a number of events and activities for local people. View the disabled access guide for Carpenters Down Open Space. Once part of the Chineham Park Estate, Chineham Park retains a number of mature trees from the original parkland. The park welcomes visitors to the grounds with bespoke timber feature posts. It provides locals with a children’s play area, a half pipe skate facility and an outdoor gym trail. Historically the park hosted a popular outdoor paddling pool facility for the local community. In 2016 the paddling pool was converted into a fun and engaging children’s splash pad facility. The splash pad is a free public facility provided by the council and opened during the summer months. The Splash Pad will be open 10am to 7pm every day from April to September. Although opening times may change due to unforeseen circumstances. After extended periods of high use, the splash pad may temporarily shut down to top up its water supply. This can take up to 30 minutes. View the disabled access guide for Chineham Park. This was originally part of the Hackwood Estate. Evidence of the historical significance of this site can still be seen in the Bolton Arch, the main entrance to Crabtree. The woodland is a mixture of oak, horse chestnut, sycamore and ash, with many informal footpaths. The grassland is managed for flowering plants. Crabtree is an important site for butterflies due to its south facing position, woodland and grassland habitat. The elms are particularly important as a resting and breeding place for the beautiful and rare White Letter Hairstreak. Each summer a local resident and a member of the Butterfly Conservation carries out a regular survey of the site. A self guided walk leaflet is available to download from the tree trails and self-guided walks webpage. Also follow this link for information on conservation work in this park. View the disabled access guide for Crabtree Plantation. Follow this link for more information about Eastrop Park. Close to the town, opposite the Anvil, Glebe Gardens once belonged to the rectory, Chute House. The gardens have many old trees and in the spring snowdrops, crocuses and daffodils grow amongst the grass around the trees. The River Loddon winds through the willow trees. The grounds of Glebe Gardens originally formed the lawns and meadows attached to the rectory for St Michaels Church. In the early 1900s the main summer event of the year was the annual pageant, held on the rectory lawn and meadows, the church garden party continued into the 1960s. In 1925 one of the events at the pageant was the re-enactment of Danes landing from a boat on the river. The Poet, Thomas Warton, (1728-1790), was born at the parsonage which preceded the rectory. Warton was made Poet Laureate in 1785. He wrote a sonnet "To the River Loddon" recalling his early years. The Georgian rectory, Chute House was named after the Rev. Anthony Chute, vicar of St. Michael’s Church from 1938 to 1947. It stands in the north eastern corner of the gardens and dates from 1773 but has been altered and extended since. In the 1960s it was decided to build a new rectory which now stands close to St Michael’s Church. The gardens and the rectory were bought by the borough council in the early 1970s. Although the River Loddon is now only a very small stream, in the past it had a considerable flow and its water was used in various industrial processes such as fulling cloth, milling and brewing. Records show that fullers were fined for polluting the river with their waste and in 1547 a vicar was ordered by a Basingstoke court to remove the privy he had erected over the common brook. A Mulberry tree remains in the gardens near the car park entrance, planted in connection with the silk mill which used to be in Brook Street. In the 16th century, there was a bridge across the Loddon at the bottom of Wote Street and there was a causeway at the bottom of Church Street. A small footbridge in the grounds, which still remains, gave the vicar direct access to the church. During the construction of the town centre in the 1960s, the river was diverted underground and now re-emerges in Eastrop Park. An informal park with a children’s play area and is ideal for walking, informal exercise and play. View the disabled access guide for Hatch Warren Park. Has facilities for football and tennis, as well as changing rooms. The site also boasts an excellent community centre, which provides a number of events and activities for local people. This park was created to celebrate the reign of King George V. It contains a play area for younger children as well as space for informal ball games and outdoor gym equipment. A footpath and cycleway link the park to the supermarket and other pedestrian and cycle networks to the west. There is seating and space for picnics and relaxation. Has a children’s play area, skate ramp, football pitches with changing rooms and ample space for walking. These playing fields are ideal for formal and informal recreation. A green space to the south of Gabriel Park accessed by foot from Firecrest Road and with a small car park next to the community building at the end of Old Kempshott Lane. It is mostly managed for wildlife conservation, particularly chalk grassland species, but also contains a play area for younger children. There are paths through the site, which connect to the wider footpath network, as well as seating and interpretation. The green space is managed in partnership with the Old Down and Beggarwood Wildlife Group. A large ancient woodland with heath and wood pasture, rich in butterflies, bees and birds. The Forest is managed by the Hampshire and Isle of Wight Wildlife Trust and they have produced a guide to Pamber Forest and a self-guided trail to follow. The council is developing a new neighbourhood park at the western end of Abbey Road in Popley. It includes two new play areas and a multi-use games area. There are paths and seating including picnic tables as well as areas managed for wildlife. There is parking accessible from Popley Way which includes disabled parking bays. Located in Rooksdown off Park Prewett Road next to the Community Centre. The park was originally part of the Park Prewett Hospital and included a cricket pitch. It now contains a play area suitable for children up to 11 years old plus a skate park. There are footpaths and seating around an open grass area suitable for informal recreation and relaxation. Areas of the park area managed to encourage wildlife including wildflower areas and the park is surrounded by mature trees. Offers netball courts, three football pitches, a cricket pitch, two bowling greens and changing rooms and a play area. Provides sports pitches, changing rooms and a children’s play area. This park is located on the north side of the Sherfield Park housing development. It is accessed via Gaiger Avenue or Amport Road. There are football pitches managed by the adjacent Community Centre as well as a play area for children aged 1 to 12 plus seating and space for relaxation. This green space has a large area of grass for ball games and other informal activities as well as a play area which is suitable for toddlers and older children. There is also a separate single basketball hoop. Has three football pitches, a cricket pitch, six tennis courts and changing facilities with toilets (including disabled). There is a play area for children, space for informal recreation and a community centre on the site. View the disabled access guide for Stratton Park. This is a heathland with acid grassland, mire, gorse and scrub that supports many rare species of heathland plants, birds, reptiles and insects. The site is owned by a trust and is managed for the benefit of the people of Tadley. In addition to the restoration of the heathland a trim trail has been installed and there are skate ramps, a zip wire and multi-use games area located on the northern edge of the common at the junction of Silchester Road and Tadley Common Road. Further information is available on the Tadley Town Council website. A large open field situated between Tewkesbury Close and Pershore Road. The park has a cluster of large trees at its centre and is an ideal location for dog walkers. The park contains a small children’s play area and also has an outdoor fitness trail encouraging people to be active. Located in Brookvale, this park can be accessed from Glebe Gardens or via Lower Brook Street. It contains a play area suitable for children aged 1 to 11 on either side of the stream that runs through the park. There is seating and space for picnics and ball games. There is also outdoor Gym equipment which complements the equipment in King George V Playing Fields at the other end of Lower Brook Street. Follow this link for information about the War Memorial Park. View the disabled access guide for the War Memorial Park. Home to Basingstoke Golf Centre, the site has a Par 3 golf course. It also has a 24 bay floodlit driving range and putting green. There is also a play area nearby. Open space and a children’s play area located on the site. This green space includes a large area of heathland as well as woodland and a play area which is accessible along footpaths from Wigmore Road, Hanger Road and Shyshack Road. Next to the play area is a grass area suitable for picnicking and relaxing. A large park with football pitches, cycle and skateboard ramps, basketball courts, changing rooms and play area. A cycleway and footpath run through the park link to the Leisure Park and town centre.